Preheat an oven to 375°F. Spray 12 muffin cups with nonstick cooking spray; set aside. In a large bowl, whisk together the butter, olive oil, garlic, salt and pepper. Add the potato slices and toss to coat evenly. 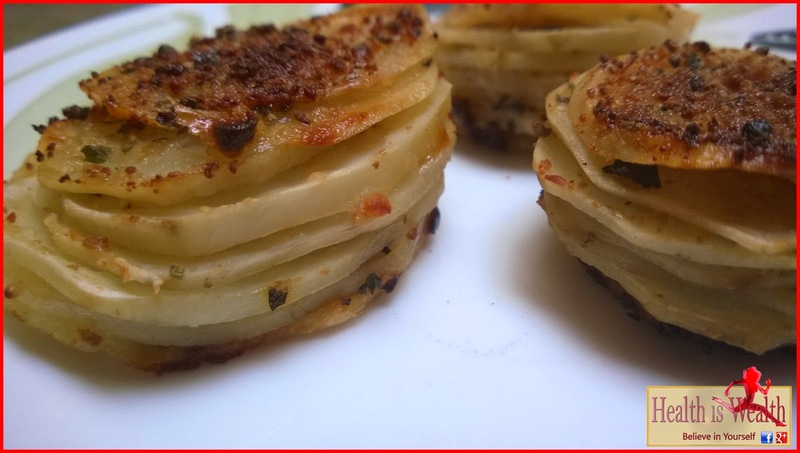 Working quickly, layer the potato slices into stacks in the prepared muffin cups, filling each one to the top; pressing down on the stacks as you go. Sprinkle the top of each stack with 1 teaspoon of the cheese. Bake until the edges and tops are golden brown and the centers are tender, 45 to 55 minutes. 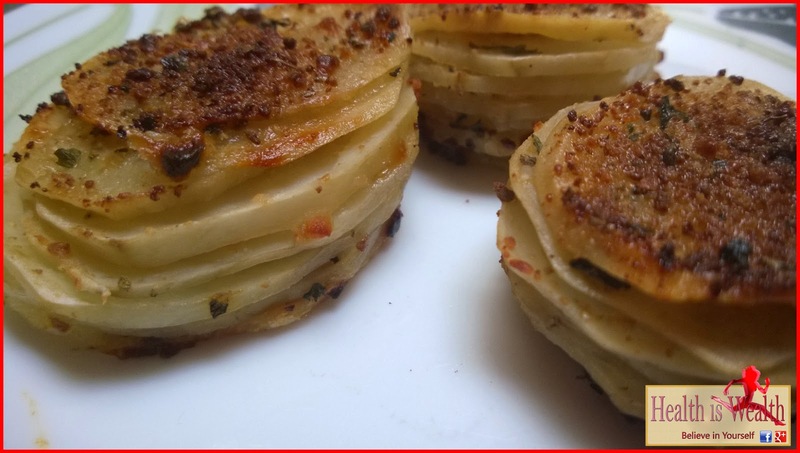 Let the potato stacks rest for 3 to 5 minutes, then carefully remove them with a small offset spatula. Enjoy!